Fans of Tolkein’s Hobbit and Lord of the Rings series will be pleased with the serious bit of humor which is featured on this unique mug featuring my original watercolor illustration of Gandalf. 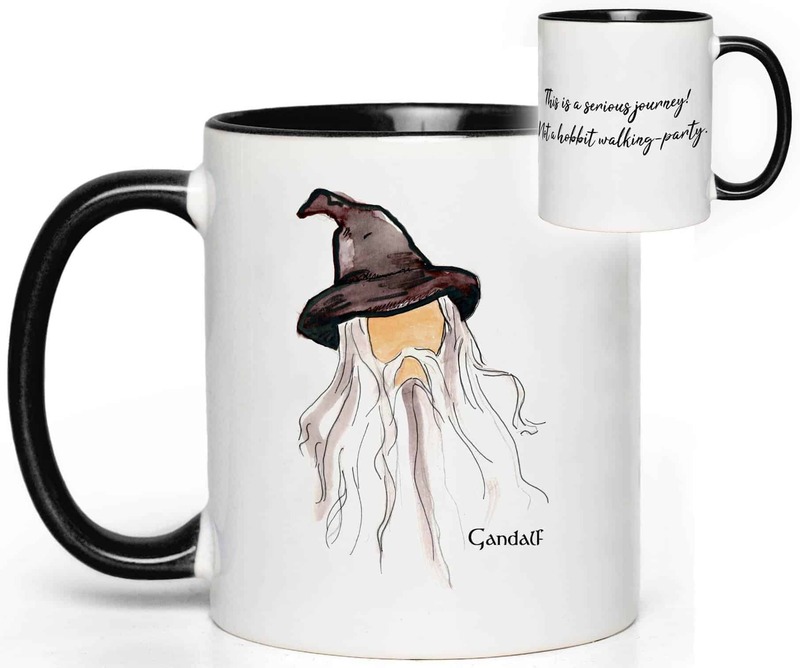 If you like geeking out over Tolkein, this makes for some fun fan gear. It’s perfect for Elves, Hobbits, and Dwarves, but Orcs might wish to avoid. It features a black colored interior and handle and holds approximately 11 oz of liquid. 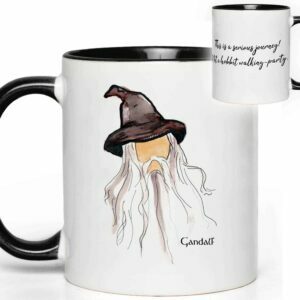 This adorable Gandalf Quote Mug is made by a dear friend. We hope you love it as much as we do.